Back in late 2016, I jumped on board the cannabis wave and bought a few shares of a Canadian company by the name of Aphria (APHQF). At the time it was trading for $2.85. Now it trades for over $15.50. Incredible gains . . . but there were no options to trade, so I was relegated to a buy-and-hold strategy. In my eyes, by simply using a buy-and-hold strategy, I was leaving money on the table. My preference would be to use a strategy based on LEAPS. I’ve been using a LEAPS-based strategy for several years now with tremendous success. So much so that I have decided to expand the strategy to include what could possibly be the most promising investment opportunity of a lifetime . . . using my LEAPS-based strategy on cannabis stocks. What Are ‘Long-Term Equity Anticipation Securities’ (LEAPS)? Long-term equity anticipation securities (LEAPS) are publicly traded options with expiration dates longer than one year. LEAPS are no different than short-term options, but the longer expiration dates offer the opportunity for long-term investors to gain exposure to prolonged price changes without needing to use a combination of shorter-term option contracts. The premiums for LEAPS are higher than for standard, short-term options in the same stock because the longer expiration date gives stocks (or ETFs) more time to make a substantial move and for the investor to make a healthy profit. LEAPS also allow investors exposure to a stock without having to own shares in the stock. LEAPS options allow investors to benefit from potential rises in a specified stock while using far less capital. Typically, that means 50% to 85% less capital. Essentially, we should view LEAPS as a stock replacement. But before I get to the opportunities within the cannabis sector, I want to discuss how the strategy has worked on the blue-chip stocks we have in our portfolio. Shares of Pfizer are up 11.8%; our strategy generated 49.7% on Pfizer shares over the same timeframe. Shares of Coca-Cola are up 11.2%; our strategy generated 51.4% on Coca-Cola shares over the same timeframe. Shares of Caterpillar are up 51.2%; our strategy generated 108.2% on Caterpillar shares over the same timeframe. Shares of Apple are up 21.2%; our strategy generated 91% on Apple shares over the same timeframe. Shares of Twitter are up 53.9%; our strategy generated 145.2% on Twitter shares over the same timeframe. And we have seen similar gains in Walmart, IBM, Merck and several other stocks. But we have also had the same good fortune in a few ETFs as well, namely the S&P Oil and Gas (XOP) and 20+ Treasury Bonds (TLT). The strategy works . . . and we have the track record to prove it. But we must follow the mechanics if we wish to be successful. That all starts with choosing the correct LEAPS contract. How do I choose which LEAPS contracts to use? It’s simple. I choose a LEAPS call contract by the delta of the option. It’s a simplistic but effective way to choose an appropriate LEAP strike. I prefer a delta around .80. A delta of .80 gives us a little downside protection. More importantly, it gives us some tremendous upside. Approximately, for every $1 move in the stock, the price of our LEAPS option goes up by $0.80. 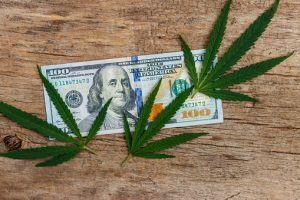 Has the strategy has worked on pot stocks? On 6/27/2018 the January 2020 LEAPS were introduced in Cronos (CRON). At the time Cronos, was trading for $6.18. The January 2020 calls at the $5 strike with 571 days left until expiration (the LEAPS with a delta of 0.80) were trading for roughly $3. As it stands, Cronos is up $4.97 or 80.4% since June 27, 2018, again, just a few days after the introduction of the first LEAPS contracts for CRON. The 5 call LEAPS are now worth $6.60, a return of $3.60 or 120%. Not bad for a two-month return. The interesting part . . . by using our strategy we could have actually made substantially more. What I’ve mentioned so far is only one part of the strategy. I will be discussing the most important aspects of the strategy and how I will be using it to enhance gains in the cannabis sector next Tuesday, Sept. 11 at 12 noon ET. Click here to learn more about this free briefing on how to multiply your pot stock profits.